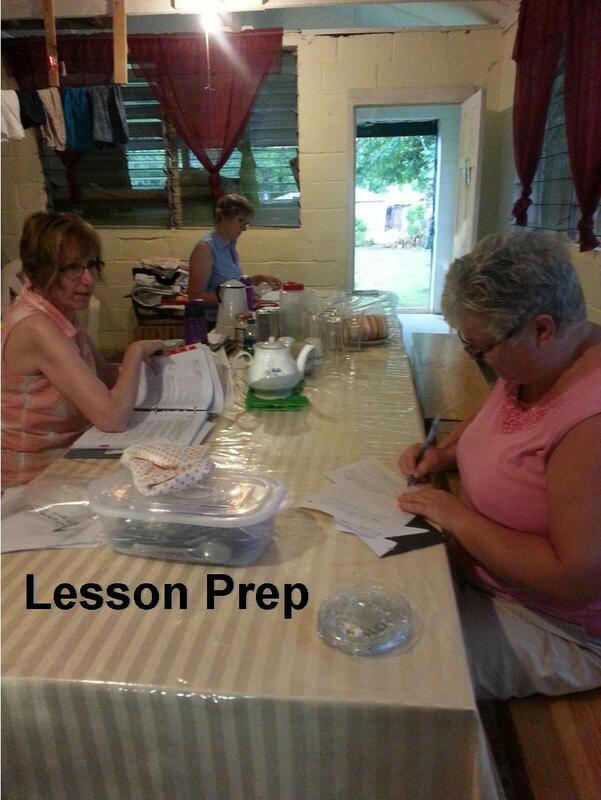 On Saturday we had a great morning of teaching and learning. Our students are working very hard . . .from 8:30 to 12:45 in the heat! All is well on this relaxing Saturday afternoon. We are sitting on the porch waiting out another thunderstorm, playing games and practicing English with a few students and young boys from the neighborhood. A few of us will go by motorbike in the morning to visit a house church. We had an awesome worship time this Sunday. Marilyn and I (Lindsey) went to Marionette on motorbikes. We heard wonderful stories of God at work in a new church community. Rob, Lorna and Laurie shared greetings from Albright to the AEM church in Gens de Nantes. We did a jungle walk to video the Guest House property in preparation for building the property enclosure. Now we need to prep lessons for Monday morning. Later, Lorna and I (Lindsey) walked up to visit our elderly Grandma, she had a stroke earlier in the year but is doing well under the circumstances, such a blessing to see and hear her amazing faith and testimony. What an encouragement for us to be faithful prayer warriors. Lots of God moments today. Lolance has the generator in many pieces. It has not been working well at all even after “maintenance” with the parts we brought. 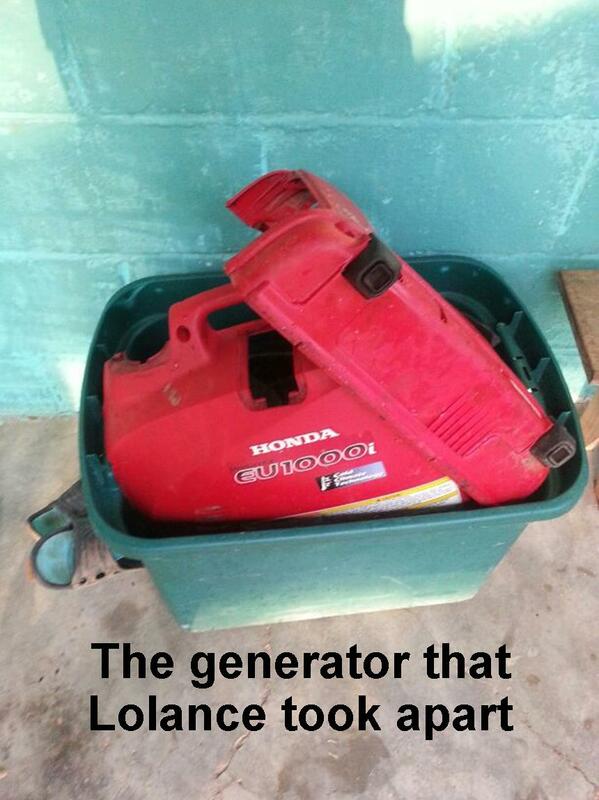 He leant us his generator for last evening. Hopefully he will be able to get ours working well again.